Kalib Wilkinson and I met at Houston Airport on Thursday, April 11 to spend two days in the Colombian Caribbean Coast. The purpose of the visit was dual. On one part we desired to connect with Pastor Eduardo Osteicochia from Merida in Venezuela and then on the other, we went to serve a network of Biblical Churches in the North part of Colombia. 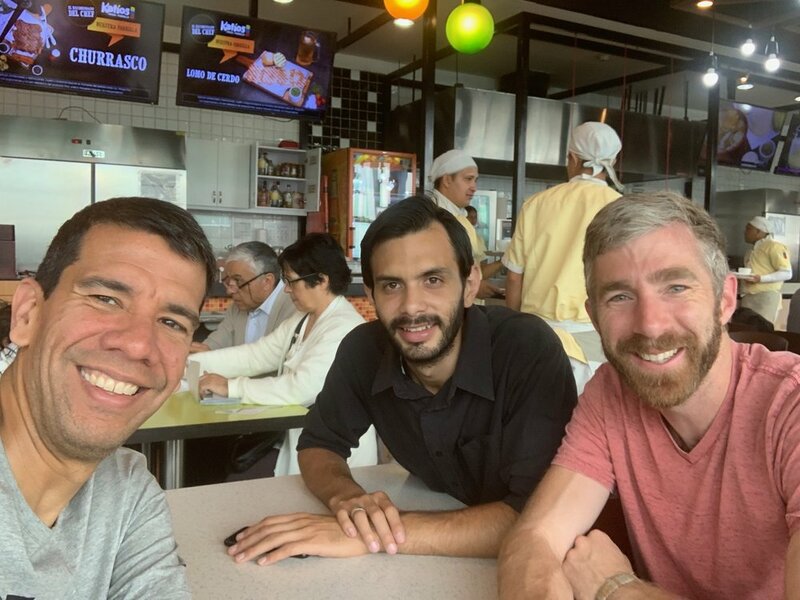 Because of some flights delays we were able to connect with Pastor Eduardo in Bogota and spend 5 hours with him catching up and just encouraging him. In headline, Pastor Eduardo is very interested in adoption into Sovereign Grace and so we’re looking forward to exploring this possibility further. The situation in Venezuela is very difficult and so Iglesia Gracia Soberana was able to collect around $2,400 to help support the saints in there in Venezuela. 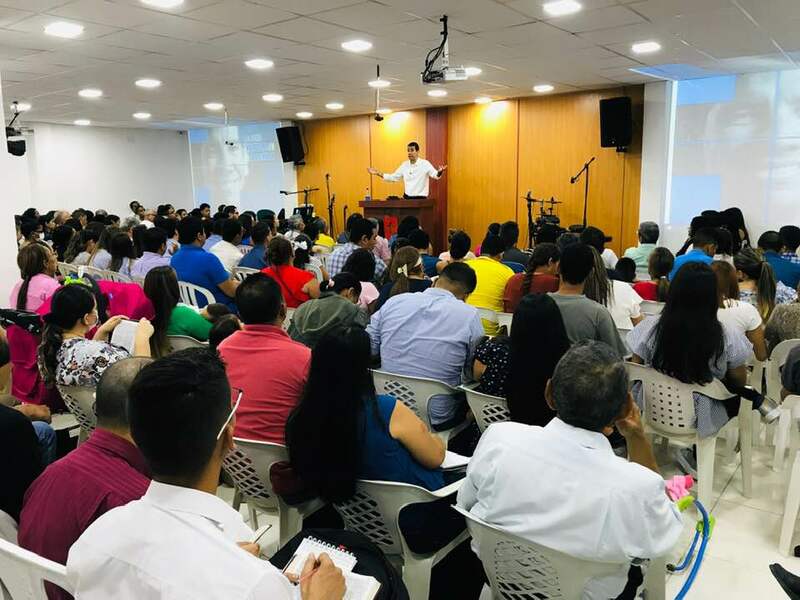 We then headed over to Barranquilla and once there I got to preach 3 times on the Friday on the Gospel Centered Church and then 3 times on the Saturday morning on the Gospel Centered Life. 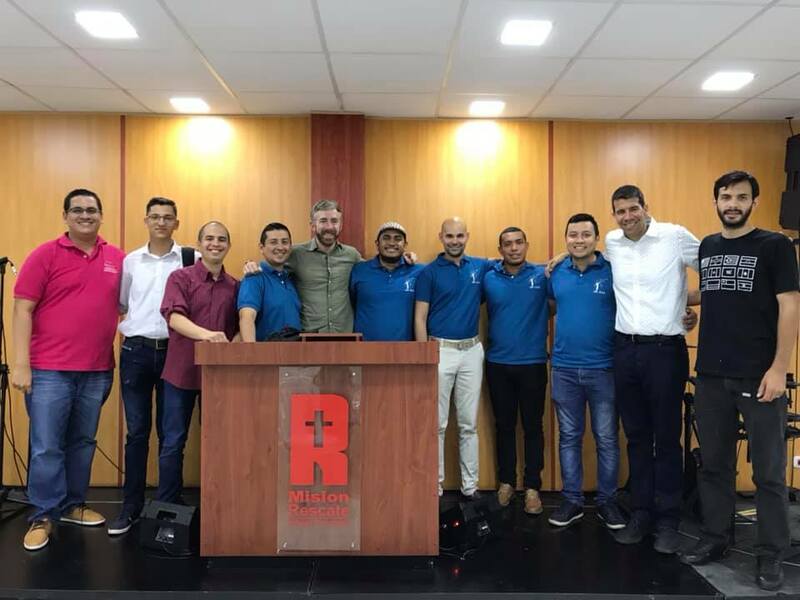 We were able to connect with dozens of pastors, which is wonderful, but more closely with a group of 7 pastors that are organizing a network of churches to promote training in the northern part of Colombia. Around 11 million people live in this area and it was so amazing to see how the Lord has used Sovereign Grace Music to shape so many of the Churches that we came into contact with. Kalib was a huge blessing throughout this trip. People loved him and it is very encouraging for Hispanics to see Americans that demonstrates love by putting themselves in a vulnerable situation of being in a different culture. Some of the churches that belong to the network are very interested in the type of government, care, and values that SGC have. With that in mind I will be having some follow up conversations in the weeks and months ahead.